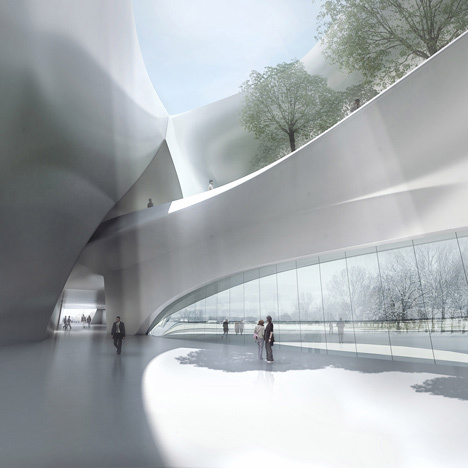 Beijing MAD architects have submitted their design for a museum in the form of ice shape stalactite in Harbin, northeast China. Beijing-based company was commissioned to design in 2009. The museum, devoted to wooden sculptures of China, is the first of 3 cultural buildings of the city designed by MAD. 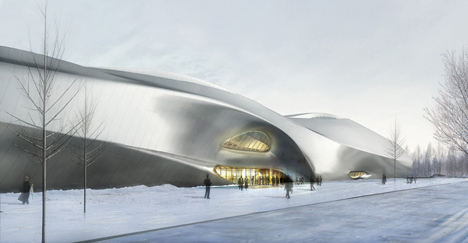 The museum building is underway and an opera house and cultural center, both designed by MAD, also built in Harbin. Harbin is the capital of Heilongjiang province in northeastern China and is best known as the home of Harbin Ice and Snow Sculpture International Festival, which takes place every year in January. Beijing, January 8, 2011 - MAD today unveiled its new museum of wooden sculptures in Harbin China. As the main city in northern China, Harbin is in the process of defining itself as a regional center for the arts in a historical moment in the city is expanding rapidly. 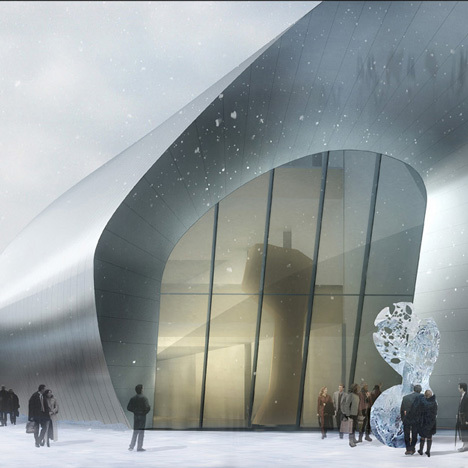 Inspired by the unique local winter landscapes, the museum is a contrast between the elegance of nature and speed of daily life. Its 200-meter long body is shaped like a frozen liquid that reflects and explores the relationship between the building and the environment. The museum combines two different exposures connected by a central access that both separates the two museums at the same time unites them, achieving a symbiotic relationship. skylights daylight flooding in the gaps adjacent to the galleries, creating optimum conditions for viewing and scenic moments in and around the building. 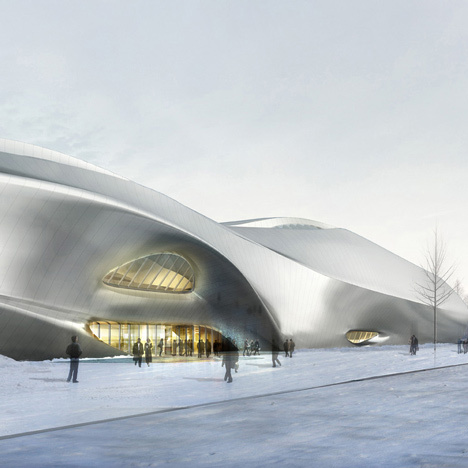 MAD was commissioned to design three cultural buildings in 2009, the museum's structure was completed recently, while the design of an opera house and cultural center will end in February. 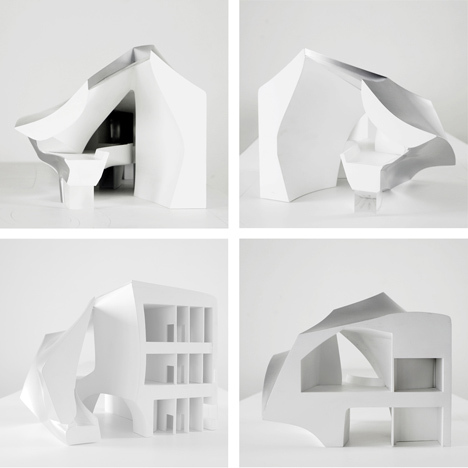 About MAD - Beijing based MAD is dedicated to innovation in architectural practice. 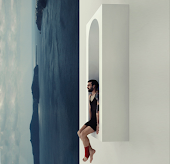 As protagonists of the new generation design, MAD examines and develops unique solutions for the future, exploring a renewed understanding of nature and advanced technology. MAD defines architecture as a symbiosis between man, in harmony with nature, giving people the freedom to develop their own independent urban experience. MAD's work has been exhibited worldwide. More recently, founding architect Ma Yansong was awarded a RIBA International Fellowship, becoming the first Chinese architect to receive this award. 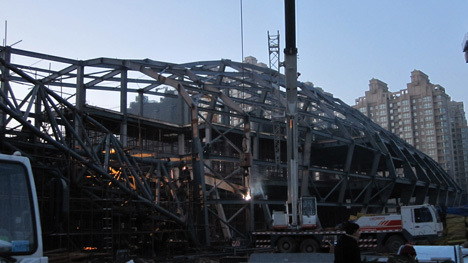 MAD currently has 9 projects under construction, including: the Towers all around Toronto and the Museum of Erdos, in Inner Mongolia, the Sinosteel International Plaza, a building 358m high-rise in Tianjin, and the Urban Forest in Highrise Chong Qing. 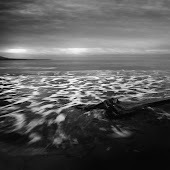 resulting in a dynamic way that resembles a frozen liquid. 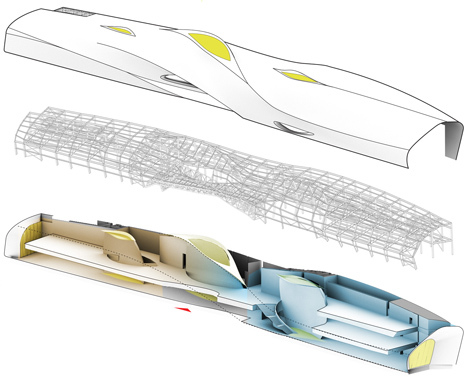 visual transparency, which connects the energy of the activities of the building together.